Public vs private is a choice everyone must make. Private health insurance has many, many benefits – here are just a few. 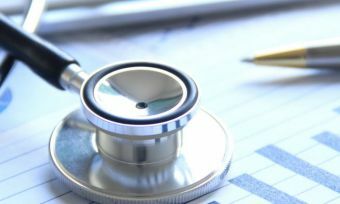 More than 1.3 million New Zealanders have health insurance, according to the Health Funds Association of New Zealand (HFANZ). Private health insurance gives you the peace of mind of knowing that you and your family will be covered, should any health problems crop up that need treatment in the private system. People take out private health insurance for a number of reasons: To access treatments that are not covered by the health system, to get some certainty around future health care, or just to have the assurance that you can avoid lengthy public hospital waiting lists. Private health insurance is particularly helpful for elective surgery, because of waiting lists and priority patient order. Elective surgery is any surgery classed as “not immediately medically necessary”, and can include anything from cataract removal, to joint replacements or gallstone removal. Even the tonsillectomy that is necessary for those who have debilitating tonsillitis several times per year is classed as an “elective surgery” under the public system definitions. Elective surgery can come with significant wait times. A 2016 TNS Research study on elective surgery in New Zealand found there were almost 300,000 people waiting for surgery, with many people waiting for longer than a year. New Zealanders also expect wait times to get even longer, with more than half of New Zealanders believing the wait lists will lengthen in the next 10 years, according to the study. Meanwhile, private health members enjoy a waiting period that is substantially less – usually no longer than a month – and can sometimes be treated immediately. In addition to this waiting period, priority patient order in the public system means that operations are performed in order of priority. This means that a patient may wait several months for their scheduled operation date, only to be told that it has been pushed back so that the surgeon can operate on another patient whose situation is more urgent or critical. In contrast, those with private health insurance also have the security of a ‘locked-in date’, meaning that their operation will not be pushed back due to another patient needing their surgery more urgently. Another obvious benefit of private health insurance is the option of a private room. In a public hospital, you are often placed in a room with four to six other people who are suffering various conditions. Private health members are able to request a private room, which is usually subject to availability. 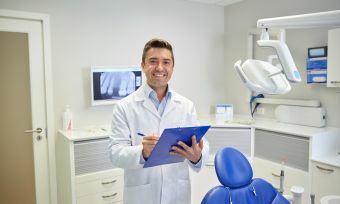 If you don’t have private dental insurance, you can expect to pay through the teeth to have any work done. Having a wisdom tooth removed, for example, can cost anywhere between $1000 to $5800, according to HFANZ figures as at January 2017. However, be aware, some basic dental plans may include teeth extraction, but exclude wisdom teeth removal. As with any insurance, make sure you read the fine print first. One of the other big benefits of health insurance is that you can select your preferred doctor or surgeon to carry out an operation. However, in a public hospital, your doctor will be the one on duty at the time of your operation. Of course, as with the availability of a private room, your preferred doctor or surgeon is still a matter of availability in the private system. So, for example, if you go into labour at 3am and your preferred obstetrician can’t make it in time for the birth, the on-call doctor is the one who will deliver your baby.